We have a great advocate. And we have a formidable enemy. The great aim of Satan is to prevent and weaken and, if possible, destroy faith. . . Destroy faith. Destroy missions. Destroy people. And thus dishonor God. That is his aim. Satan uses pleasure and pain to do it. Pleasure: to make us doubt God’s satisfying greatness. Pain: to make us doubt God’s sovereign goodness. On the contrary, the parts of the body that seem to be weaker are indispensable (1 Corinthians 12:22). With disability, we already know Satan uses our suffering to attack our faith. But he also cheapens pleasure in ways that feed the destruction of our faith – and encourages the literal destruction of our children. After all, if joy is cheap, why persevere through hard things to get to real joy? I don’t mean to make McDonalds into a villain – McDonalds doesn’t ‘hate’ children with disabilities. 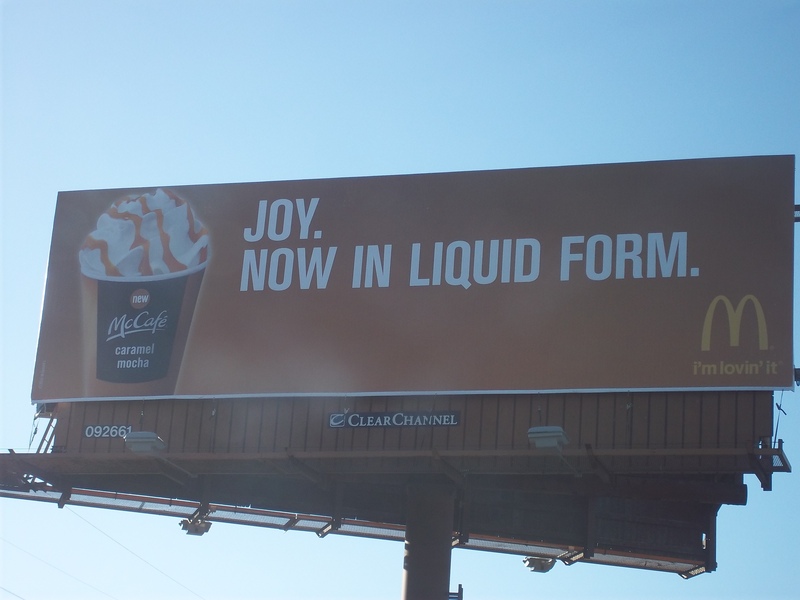 But there’s a reason McDonalds felt like this ad with this tagline using the word ‘joy’ would be effective – we like our joy cheap and easily accessible. And that feeds a mindset that hard things, like the daily care of a child with a disability, really isn’t worth it. Which leads to very bad things: abortion; split marriages; lonely, bitter, hurt people. In other words, things that Satan loves because they dishonor God, destroy people, destroy missions and destroy faith. But we know that persevering most certainly IS worth it! Jesus did not suffer for the sake of a short-term caffeine buzz but for eternal, ever-increasing measures of joy!